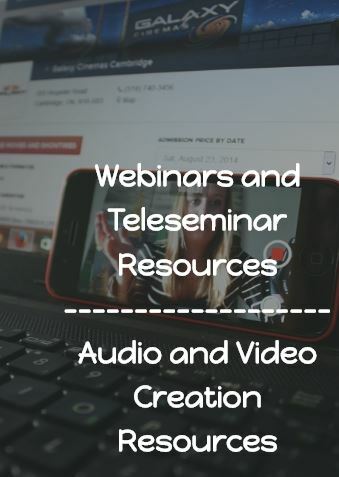 Resources to help you conduct teleseminars and webinars as well create new audio and video products. Here are a few resources to help you conduct teleseminars and webinars as well create new audio and video products. 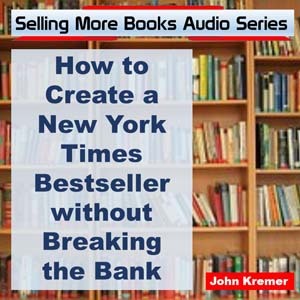 Using Teleseminars to Create and Market Books — This audio program describes how you can use teleseminars to create new content, write new books, build important relationships, promote your books, and sell more books. In this seminar, I revealed a secret tip on how to begin creating relationships with top media and book buyers, even months or years before your book comes out. 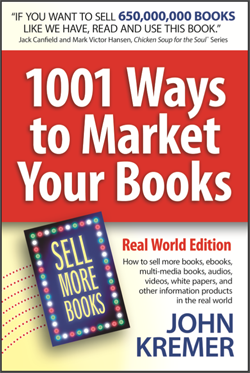 This one tip could boost your book marketing program to levels few authors or publishers have ever enjoyed. 100 minutes. Mp3 audio download, $12.00. Order here: https://bookmarket.checkout-secured.com/shop/cgi/shop/cart/add?shopID=12&qty=1&prodID=17475. InstantTeleseminar — http://www.instantteleseminar.com/pricing. You can try out this teleseminar service for only $1.00 in a 21-day trial. Prices run from $47 to $197 per month. StartMeeting — http://www.startmeeting.com/pricing. Offers audio conferencing for $6.95 per month for 1,000 callers. This is an inexpensive way to start recording and publishing audio seminars or teleseminars. You can add screen sharing for as little as $19.95 (including audio conferencing) for 50 people up to $349.95 for 1000 people. Here is a post featuring key podcasting tools you can use to create and promote your podcasts: http://bookmarketingbestsellers.com/podcasting-tools. Beacon Live — http://www.beaconlive.com. 866-638-2907. Offers teleseminars, webinars, and webcasts for a fee. Go to Webinar — http://www.gotomeeting.com/webinar/pricing. Free trial for one month for meetings or webinars. Pricing from $89/month (up to 100 attendees) to $299/month (up to 1000 attendees). Google Hangouts — http://hangouts.google.com. Stream and save videos via YouTube (private or public). UStream.TV — https://www.ustream.tv/product/ustream-pro-broadcasting-video-platform. Stream videos. WebEx — https://www.webex.com/products/webinars-and-online-events.html. 866-863-3911. Unlimited meetings for up to 8 people for $24.00 per month to 100 people for $69.00 per month. PollDaddy — http://www.polldaddy.com. Allows you to create polls and surveys to use with your teleseminars or for any other purposes. Free service with pro upgrade for $200 per year. Survey Monkey — http://www.surveymonkey.com. Free service or professional for $26.00 per month and up. Note: Prices for these services can change at a moment’s notice. All Custom Content — http://www.allcustomcontent.com. Offers cleaned-up transcriptions as well as full content creation. Casting Words — http://www.castingwords.com. $1.00/minute (budget) to $2.50/minute (1 day) for transcriptions. IDictate.com — http://www.idictate.com. Dictate any document using any phone (including Skype), iPhone, Android device or voice recorder and receive the completed transcription back via email quickly and economically, 24 hours a day, 365 days a year. I Love PDF: http://www.ILovePDF.com – To split a PDF into two PDFs or to combine two PDFs into one PDF. Also PDF to Word, Word to PDF, PDF to .jpg, PowerPoint to PDF, etc. PDFCrowd: http://www.pdfcrowd.com – Allows users to convert HTML to PDF. You can create PDFs from web pages or raw HTML code. 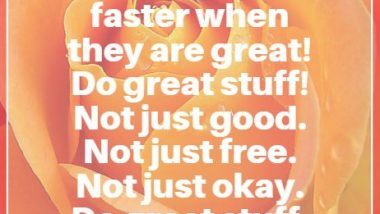 See this page for lots of free resources: http://bookmarketingbestsellers.com/free-photos-and-images-for-your-graphic-quotes. Here are a few sites that require payment to use royalty-free graphics, photos, images, and icons. Big Stock Photo — http://www.bigstockphoto.com. 36 million images and videos. 150 images or videos per month for $79.00 per month. Can Stock Photo — http://www.canstockphoto.com. We’re a royalty free stock photography agency that believes professional stock images should be affordable and accessible to everyone. We add over 25,000 top quality images each day from the world’s best photographers and artists. 300 downloads per month for $99.00. Cartoon Resource — http://www.cartoonresource.com. Cartoons for presenters, speakers, authors, businesses, graphic designers, etc. Stock and custom cartoons. Call for pricing 616-307-3974. ClipArt.com — http://www.clipart.com. 10 million royalty-free images, photos, web graphics, fonts, and sounds. $29.95 per month to download 250 clipart images per week. Digital Juice — http://www.digitaljuice.com. Features the world’s largest library of stock video footage, animated backgrounds, transitions, and other video effects. Also 45,000 sound effects. Lifetime cost: $399.00 to $599.00 and then you can download and use to your heart’s content. Dreamstime — http://www.dreamstime.com/res4491334-free-images. Free and low-cost stock photography and royalty-free photographs as well as stock videos. Foto Search — http://www.fotosearch.com. Over 33 million stock photos. Photos are priced from $8.00 to $499.00 per image. Fotolia — http://www.fotolia.com. By Adobe. 888-674-2299. Download 3 high-definition stock photos and illustrations for free each week (https://us.fotolia.com/Info/Images/FreePicsOfTheWeek). Fotolia’s royalty-free licenses allow you to use our free images anywhere in the world for as long as you like. Otherwise: $249.00 per year for 25 downloads per day. Some Free. Free Art — http://www.freeart.com. Provides free small art prints of over 26 Million images! For a shipping fee of just $1.99 you receive a high-quality art print. Search photographic and illustration art prints in a variety of styles and on almost any topic. They offer a related site: Barewalls.com. Get Color Stock — http://www.getcolorstock.com. Features people of color in royalty-free graphics. GoGraph — http://www.gograph.com. Offers flexible royalty free stock photography, vectors, illustrations, graphics, and stock footage at low prices. Purchase and download stock images immediately. For over 10 years we have helped art directors, graphic designers, corporate advertisers, and freelance designers find high-quality images. Features 18 million stock photos. Available for $5 instant downloads. IconFinder — http://www.iconfinder.com. Features over a million icons you can use. $9.00 per month for membership or $1.00 per icon. iStockPhoto — http://www.istockphoto.com. By Getty Images. 866-478-6251. Royalty-free images, illustrations, videos, and music clips. $99.00 for 1 month to download 10 images. Kozzi — http://www.kozzi.com. $1.00 per images and vectors with a royalty-free license. Access over 3 million beautiful royalty-free photos, modern vectors, and video footage. Thousands of new pictures added every day! Pixta Stock — http://www.pixastock.com. Features over 18 million stock photos, illustrations, and videos. You can sign up for a subscription plan or sign up for free stock. You can use our stock content for publications, TV commercials, goods packaging or smartphone applications. Because it’s Royalty Free, once you purchase it you can use it for anything you need. Pond5 — http://www.pond5.com. Royalty-free stock photos, music, sound effects, and videos for as little as $2.00. Some great videos for as little as $80.00. License once, use forever. Shutterstock — http://www.shutterstock.com. Over 80 million stock images, videos, vectors, and music tracks. 750 images per month for $199.00. 5 HD videos for $369.00. Think Stock Photos — http://www.thinkstockphotos.com. Search millions of premium royalty-free images from Getty Images and iStock. $208 for a one-year pro subscription. Veezzle — http://www.veezzle.com. A great website for finding free stock photos. Type in any word or words, and locate graphics matching that. Note: Not all of their images are actually free. They also allow you to search websites, news, and social media posts for specific words. Audio Hero — http://www.audiohero.com. 200,000 sound effects and royalty-free music tracks. 50 downloads for $9.99. Beat Suite — http://www.beatsuite.com. 877-492-6395. Music tracks, loops, and sounds for multimedia and broadcast. Digital Juice — http://www.digitaljuice.com. Features the world’s largest library of stock video footage, animated backgrounds, transitions, and other video effects. Also 45,000 sound effects. Find Sounds — http://www.findsounds.com. You can find all sorts of sound effects, but you’ll have to do your own work in clearing the rights to any sound effects you find. Free SFX — http://www.freesfx.co.uk. Offers free sound effects and music loops for your videos and other presentations. Jamendo — http://www.jamendo.com. Royalty-free independent music for web videos, movies, documentaries, etc. 200,000 royalty-free music tracks. $49.00 license fee. Music Bakery — http://www.musicbakery.com. Royalty-free music downloads for jazz, blues, hip hop, pop, rock, and international. Partners in Rhyme — http://www.partnersinrhyme.com. Royalty-free music CDs for a one-time payment. Pump Audio — http://www.pumpaudio.com. You can get professionally recorded music from Getty Images Music for as little as $25.00 to use in a video, podcast, or other product. You can also get paid for the music you create and produce. Royalty Free Music — http://www.royaltyfreemusic.com. $9.95 to license single tracks. $299.95 to download 15 music tracks and 300 sound effects every month. Sound Dogs — http://www.sounddogs.com. 877-315-3647. Over 700,000 sound effects. Clients include Disney, Fox, Sony, Paramount, Dreamworks, NBC, Apple, and others. Sound Ideas — http://www.sound-ideas.com. 450,000 sound effects and music tracks. SoundzAbound — http://www.soundzabound.com. Royalty-free music for schools. The ONLY royalty free music library which meets all the licensing and technology requirements needed for education! Soundzabound Music Library offers a wide variety of music, audio themes and sound effects for grades K -12 and universities that ensures your copyright safety. Perfect for podcasts, PowerPoint™, videos, news shows, video yearbooks, digital storytelling, presentations, TV broadcasts, web design and more! Unique Tracks — http://www.uniquetracks.com. Stock music for media production. Clients include the Salvation Army, HBO, Disney, IBM, and many universities. Amazing Voice Talent — http://www.amazingvoicetalent.com. Terry Daniel, professional voice talent. Pro Voice USA — http://www.provoiceusa.com. 877-865-3459. Voice overs starting at $20.00. Voice Talent Now — http://www.voicetalentnow.com. Send them your video or audio script via email and they will create a professional sounding voice-over for $49 and send it back to you the next day. Clickbank — http://bookexpert.goto.hop.clickbank.net. A place to set up shop until you have a shopping cart. A great place to sell ebooks and audio files for download even after you have a shopping cart. Includes an affiliate program to get other websites involved in marketing your ebooks, software, mp3 audios, and other downloadable content. Create Space — http://www.createspace.com. Amazon.com’s on-demand service for creating ebooks, books, DVDs, audio CDs, video downloads, and more. No set-up fees, no minimum orders, and you keep the rights. Ingram Spark — http://www.ingramspark.com. Create print-on-demand books and make them available to bookstores (which won’t buy Create Space books. Kunaki — http://www.kunaki.com. CD and DVD publishing on demand for as little as $1.00 per disc plus shipping direct to your customer. Lulu.com — http://www.lulu.com. Allows you to sell ebooks and PDF books and earn 80%. PayDotCom.com — http://paydotcom.net/?affiliate=263328. An online marketplace with built-in affiliate marketing like ClickBank. Radio PR Guy — http://www.radioprguy.com. The best radio show database and program available. Foreign Rights Contacts — http://www.bookmarket.com/18.htm. If you want to sell foreign rights or get foreign distribution for your book, check out this page. New York Times Bestseller Program — http://www.bookmarket.com/nytbests.htm. John Kremer’s Audios for Sale — http://www.bookmarket.com/audiosforsale.htm. 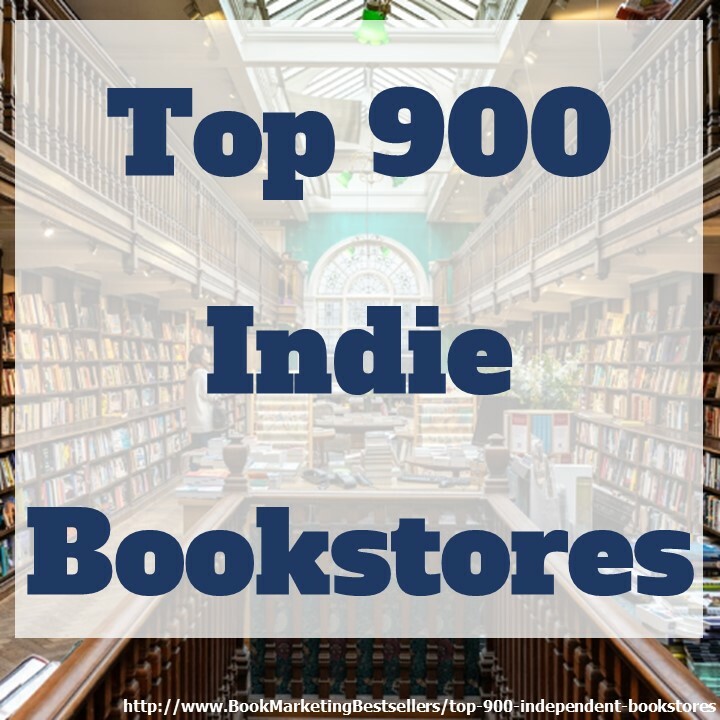 The Book Marketing Network — http://www.thebookmarketingnetwork.com. The social network for book authors and friends. Over 9,500 members. Free. 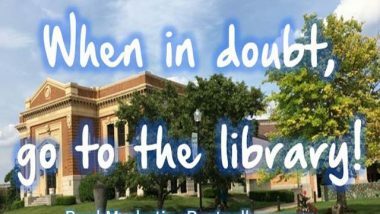 When in Doubt, Go to the Library!